An arch with peak along temporal iris limbus describes the perfect shape of eyebrows. One of the most prominent feature in facial expressions is the position of the eyebrow. A youthful looking face is transmitted by the properly aligned brows. Nowadays, a cosmetic eye surgery, known as forehead lift (browlift or browplasty) is finding a major use for elevating a droopy eyebrow, which may affect the vision. It also helps in removing the deep worry lines seen on the forehead. When compared with any other eye cosmetic surgery, facial expressions can be well modified with a brow lift surgery. The noticeable signs of aging are mainly sighted in the forehead and eyebrow regions. Age and gravity factor cause the forehead muscles to become loose and weak. The structure loosening results in eyelid hooding, frown lines, drooping eyebrows, and forehead wrinkles. As a result, for smoothing the forehead, improving the frown lines, or raising the upper eyebrows, these issue causing structures are altered or tightened. Since the forehead region is the major expression and focal point of the upper face, so most of the patients prefer to undergo rejuvenation surgery. A more youthful, refreshed brow look along with improved horizontal line and furrow is restored by a brow rejuvenation surgery. In browlift surgery, multiple surgical approaches are followed. 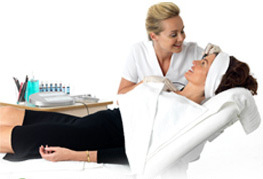 The direct blow lift procedure aims to remove the oval shaped skin and muscle, lying just above the eyebrows. Within the brow hair, the incisions created are well-hidden. This technique neither shows any prominent surgical scars nor it addresses the deep lines or wrinkles within the forehead. Older patients or men who have thick eyebrow hair and male pattern baldness are the best candidates for this procedure. Depending upon the patient, forehead surgery may either be performed alone or sometimes combined with other surgeries such as eyelid, or facelift surgery. Patients above 65 years who show heavy sagging eyebrows and deepest forehead wrinkles are recommended with mid-forehead lift. In coronal forehead lift, an ear incision across the forehead is made and the entire brow and forehead is elevated. Currently, the most common technique used is the endoscopic brow lift procedure. This procedure makes use of a surgical telescope for elevating the brows. It also involves creating small incisions behind the hairline to smooth the forehead wrinkles. A recent alternative to the traditional forehead lift is the Endotine Brow Lift procedure. The Endotine Brow Lift procedure involves a single incision along the upper eyelid of each eye. Later, the forehead implant is secured and incision is finely sutured. Complications: In case, a well trained surgeon performs the forehead lift, complications are minor or nil When an incision is made through the hairline, hair loss along the scar edges are observed. Similar to other surgeries, it is possible that bleeding and infection are witnessed. In rare cases, damage to the nerves which control the forehead and eyebrow movements may occur. The cost of endoscopic forehead procedure is almost same as a traditional brow. However, due to its shorter recovery time, the endoscopic surgery may be regarded as a more economical procedure. In post-operative period, less follow-up care and fewer medications for controlling discomforts, are required in the endoscopic technique.